In 1952, George R. Pyburn saw a need within the new southeast Houston community of Almeda, and also saw an opportunity. Several of George’s neighbors needed wells for their new homes since city services were not available at the time. Having worked in the east Texas oilfields from 1928-1939, Pyburn knew a few things about drilling - and decided this was something he would like to try. He purchased a used drilling rig mounted on an old 1943 Ford truck, and Almeda Water Well Service was established. In 1962, upon completion of a degree from the University of Houston, George’s son John joined the business full-time, and took over the company in 1969. In 1982, John moved the company from Almeda to Manvel, and opened M&M Hardware - a full service hardware store. 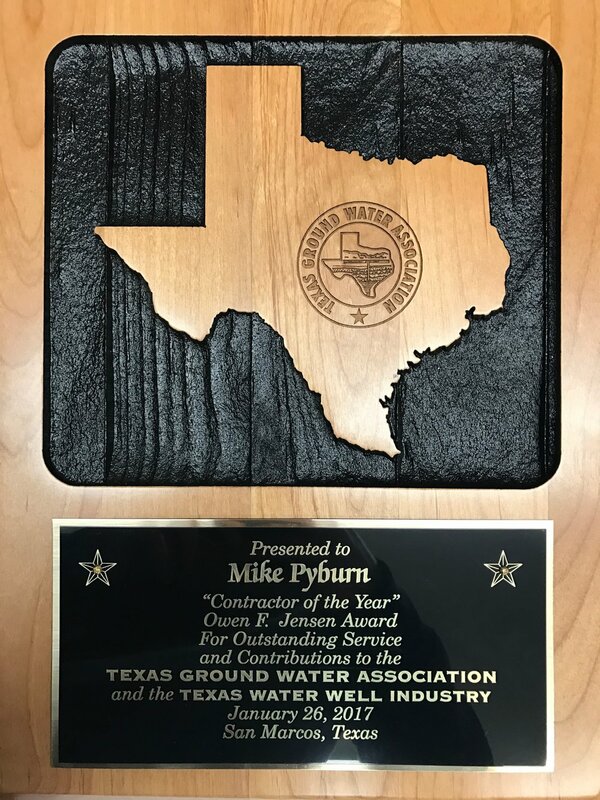 After John’s son Mike graduated from Texas A&M in 1987, he joined the company full-time and took over the company in 2011, becoming the third generation in the well drilling business. 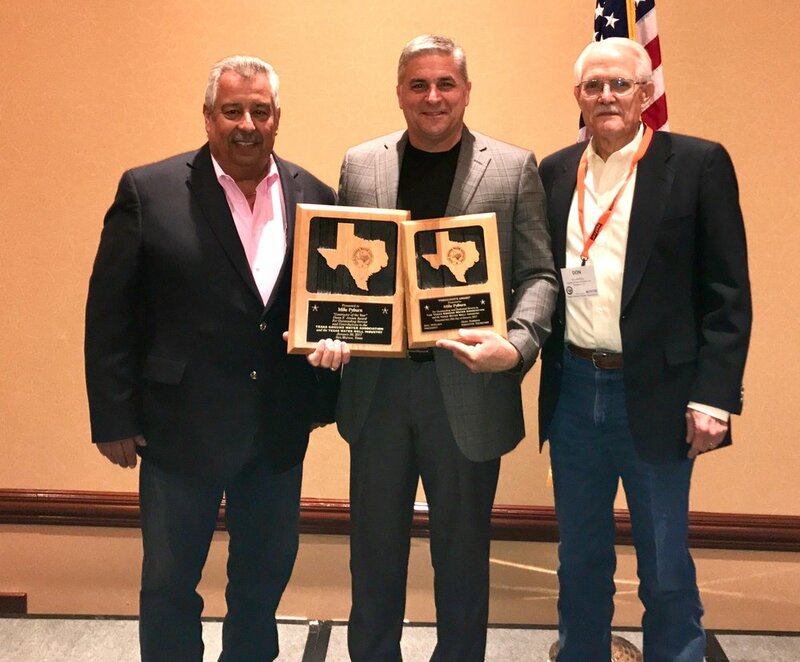 Mike Pyburn receiving the President’s Award and the 2017 Contractor of the Year award from NGWA Director Patrick Casarez and TGWA President Don McElroy. Fort Bend Levee Improvement Dist.